TP&LCM business unit consists of two major sections: touch panel products and liquid crystal display modules. 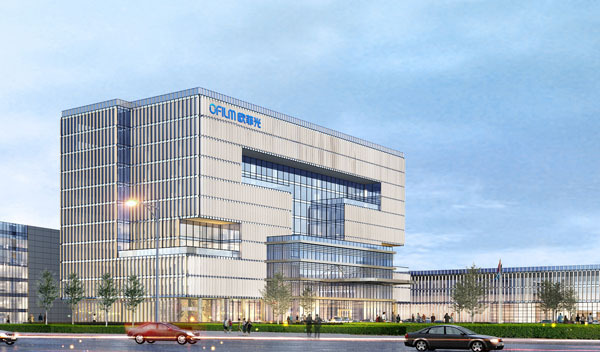 The OFILM Touch Panel Products’ manufacturing bases are located in Shenzhen, Suzhou and Nanchang. With the vertical integration production pattern, TP Business Unit has successfully developed several advanced technologies including roll-to-roll ITO Coating, roll-to-roll Sensor automatic production, Metal Mesh etc. TP BU has extended in application areas such as mobile phone, tablet, PC, intelligent wearable, vehicle/industrial control and so on. Besides, technologies like Super Hover, pressure sensing and tactile feedback were innovatively developed to enrich the user experience. As motivated by its technique innovation, OFILM aims to become a worldwide well-known touch panel manufacturer. Designed in accordance with the needs of customers, the liquid crystal display module is a complete display module combined the liquid crystal display components, connector, integrated circuit, control-driven circuit, PCB, backlight and structural parts together. Currently, by embedding a touch module, the display module has formed a structure integrating touch and display which is mainly applied to fields such as mobile phones, tablet computers, TVs, automobiles, etc. The main production base of LCM products is in Nanchang. Besides, we has set up affiliated agencies and R&D centers in Tokyo, Seoul and Taiwan to obtain the excellent resources of local technicians, the cutting-edge technologies and industrial information. June 2016 Repeated Rotary Flexible Touch solution was developed. May 2018 The waterdrop screen touch solution was developed. We have established strategic cooperation with companies which have the most advanced cell resources: LGD, JDI, Innolux Display Group and AU Optronics Corp. In 2016, we successfully brought in cooperative partners. We cooperated with LGD to produce Incell touch display modules, with Innolux Display Group to produce Oncell touch display modules, and with EverDisplay Optronics to produce Amoled touch display modules on a large scale. In 2017, the mass production of the first Huawei full-screen project has exceeded 5kk; the mass production of LG’s first COF project has exceeded 3kk. In 2018, Notch& beauty tip&narrow chin, the mass production of Huawei’s special-shaped project surpassed 5 million . OFILM’s products supply for Huawei, Lenovo, Moto, Xiaomi, ZTE, OPPO, Meizu, LGE, Wentai, Huaqin, Longqi, LGD, Haier, Hikvision, Yaxun Communications, Delphi and so on. OFILM has engaged in on-board and industrial-control market in 2015 and successively passed the customers’ verification in some foreign and domestic high-end brands, started mass production and distribution, became the new growth point in touch panel business. In 2015, engaged into the intelligent wearable market, successfully mass-produced touch screen for international famous brands' smart watch products. In 2016, planned to enter the flexible touch panel product field. In 2017, expanded the field of touch in the home appliance market. In 2018, expanding the field of touch panels in the electronic whiteboard and multimedia interactive market. Put advanced automatic equipment into brand new factories and production lines which has been built in Nanchang Free Trade Zone. Continue to increase R&D investment into Amoled and flexible lamination, which will be applied to in-car touch screens and central control systems of international brands. Force Touch:Introducing a pressure detecting sensor in the original touch screen to detect the pressure on the surface of the screen when it is touched.Effectively detect the pressure on the screen to achieve 3D.Multi-function operation such as speed and volume can be realized by pressure detection. Haptic feedback technology:Electrostatic stimulation of the human epidermis + specific algorithm, people feel that the surface of the object has the same touch feeling as the real.Make the touch more smart, the pictures also give people a touch of reality.Increase the touch of the sensory dimension. Full screen:The narrow frame realized by high-precision exposure process increased screen ratio.10X10um routing process effectively reduces border width.Greatly increase the screen ratio, effectively achieve visual impact. Flexible touch:Flexible touch realized by using metal mesh conductive material.Fixed surface touch screen make ID more diversity.A variety of flexible structures such as wraps, curls, etc.Narrow traces and full screen touch.